The two releases so far on Les Yeux Orange’s Good Plus imprint have proved as evasive as they are killer. 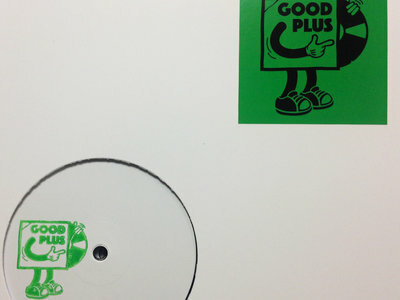 This month, Good Plus have resurfaced for the second time this year with ‘Togosava’, three characteristically killer afrodisco edits. ‘Avidio’, spanning the entire A-side, is an atmospheric mid-tempo disco chugger with a swinging groove. It’s really nice, but the flip side is where the action is. ‘Yanga Mbiwaa’ is a lurching afrodisco monster that rises up with West African chants and juicy bass before throwing you off the trail with dissonant guitar, double-stops and key changes, making it all the sweeter when it does lock in to the groove. ‘Autoradio’, spins you around the eternal ephemeral, a hurricane of formalities, where bright alto sax ponders the point of going, moving, introducing and asking..It’s dark, decadent and bouncy, and the 45turns favourite. Listen to it below. You might be able to buy Togosava on Les Yeux Orange’s Bandcamp page, if you keep your eyes peeled.